A leak in your chimney can come from several preventative issues, a missing or defective cap, cracks in mortal joints, or faulty masonry construction. Water can single handedly bring a great chimney down. Water works its way into the mortar through the least path of resistance and corrodes it away, leaving your chimney weak and vulnerable to damage. Protecting your chimney from leaks can be a laborious task that should be addressed by a qualified professional that can perform the work correctly and effectively. As your chimney is precariously exposed to all the elements, constant freezing and thawing puts distress that can lead to cracking, leaks and structural damage. These issues can cause serious structural issues that can lead to issues within the chimney that can cause chimney fires or damage to the structure of the home. Nexus Chimney Cleaning can fortify your chimney to protect it from any of these damages. This preventative approach can save you from having to replace large portions of your chimney. 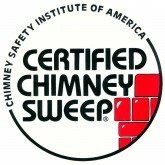 Contact Our Chimney Leak Repair Experts In Cary To Schedule Your Inspection Today! Our chimney repair professionals will make sure they perform a job well done and that all your chimney leaks and repair needs are satisfied and up to code. Contact us today to book your next appointment with Nexus Chimney!